Michael Jackson made his debut this week on the one Forbes list nobody wants to grace: top-earning dead celebrities. The late King of Pop's estate has reaped $90 million since his sudden death on June 25 at 50 – putting him at No. 3 on the Forbes rolls amid such taken-before-their-time music icons as Elvis Presley and John Lennon. The list, of course, was compiled before the release of the concert-rehearsal film "This Is It," which reportedly pulled in $2.2 million alone in late-night showings Tuesday. The box office take marks the latest indication that Jackson, who reportedly signed up for the never-to-be London concert run because he desperately needed the money, may turn out to be worth more in death than in life - and that's bad. 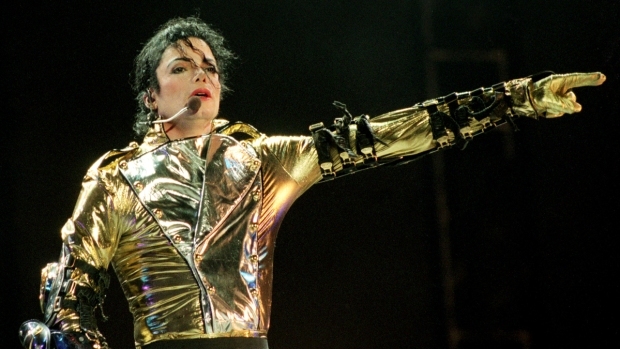 The film has inspired an Internet-driven backlash from some fans who believe Jackson was in no condition for the planned concerts, and contend "This Is It" was edited to downplay any physical distress. While Jackson, whose death has been ruled a homicide, looks frightening thin in the footage, we may never know the full toll the rehearsals took on him. Meanwhile, the movie is shaping up as a hit. The Los Angeles Times even raised the possibility of "This Is It" emerging as an Oscar contender, given the recent doubling of Best Picture nominees to 10. It’s natural that many fans want a last glimpse of the superstar on stage in the days before his death, while others will be drawn to theaters by morbid curiosity. That’s a man-in-the-mirror reflection of the forces that defined the last two decades of Jackson’s life – half brilliant performer, half freak show – and now trail him in death. The jury is out on whether “This Is It” is a Jackson tribute or exploitation. But there will be, little doubt, more found footage, more "lost" recordings to come as the marketing of Michael Jackson threatens to drag on well past the movie's limited run. No matter what his personal problems, Jackson, as a performer, always gave his all. With his death, it seems that few are ready to stop taking.